Ah, Spring! You have been nothing but cryptic so far in Chicago. You have teased us with near bearable temperatures only to blindside the city with waves of freezing rain, snow, and chilly winds. 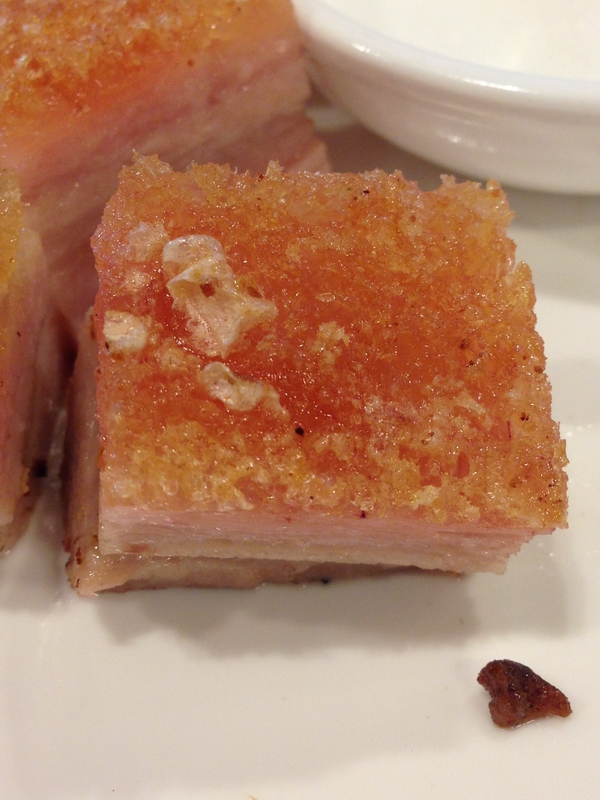 While the weather might get you down, you definitely should hit up one of the top dim sum places I have ever ate at, including America, Hong Kong, and Taiwan. 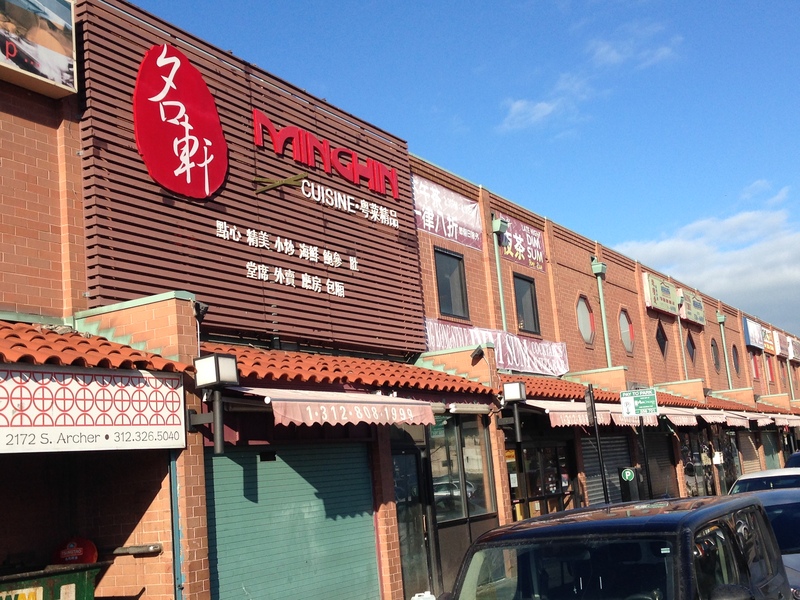 The name of this wonderful eatery is MingHin Cuisine. My girlfriend had been there before and had nothing but great things to say about it. 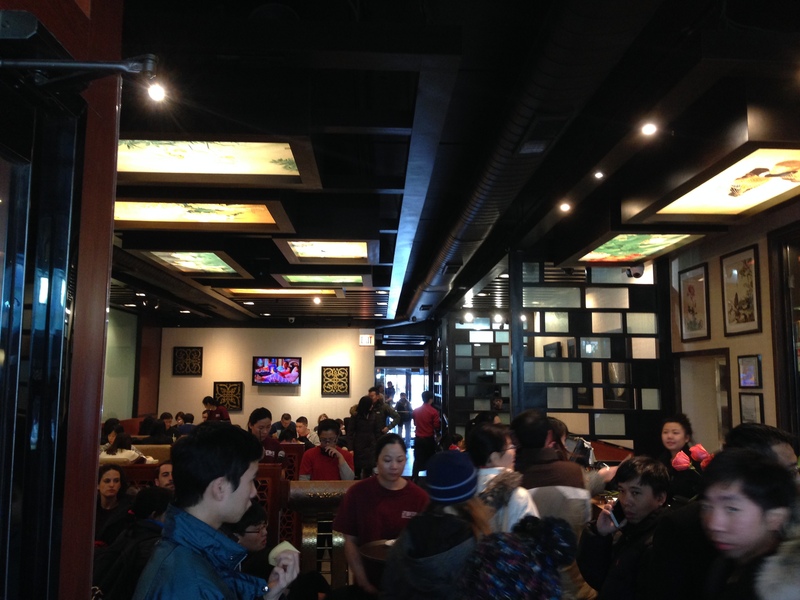 It is located in the New Chinatown on the northside of Cermak Road right next to the famous Lao Sze Chuan. When I arrived before Janice, I was greeted with a horde of anxious diners waiting for a table in the bustling main rooms or the side tea room that is devoted solely to the warm brews. So, I put our name in and got a post it with a number on it. 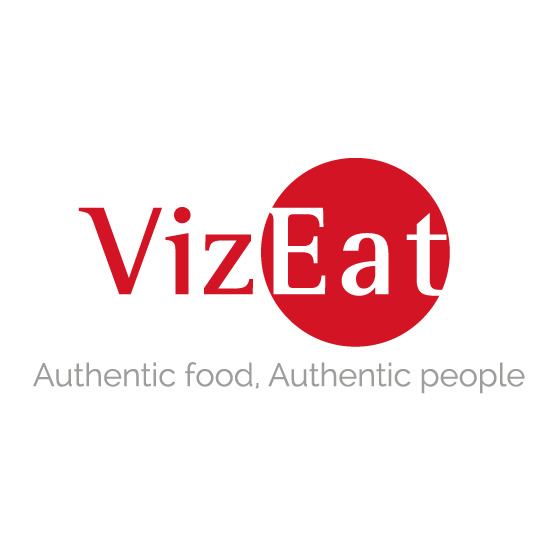 It’s a simple but functional system they have for alerting customers when their tables are ready. You have to try and hear your number on the Post-It note being shouted out first in Chinese and then in English above the din of the restaurant. Eventually, they yelled out my number, and they quickly seated me. 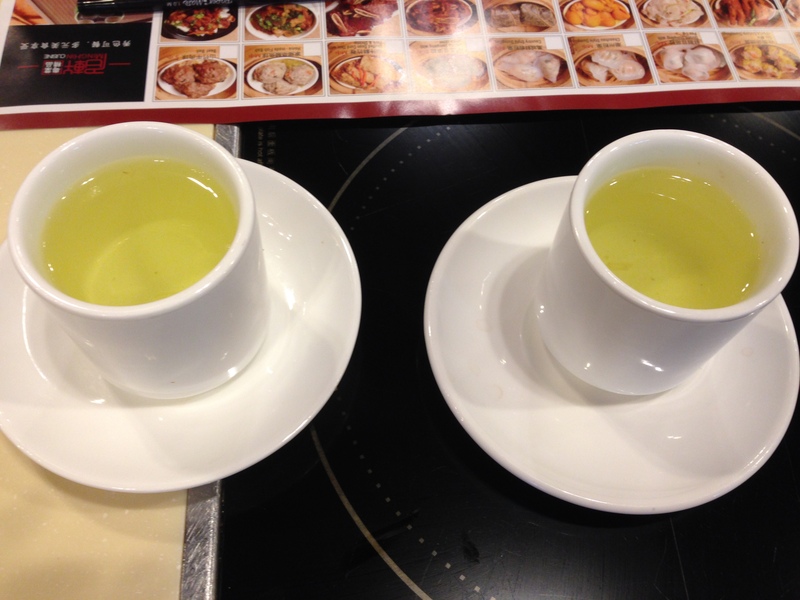 They offered me a selection of teas to sample while I was waiting, so I plumped for a pot of jasmine tea. Janice took a seat opposite me soon thereafter, and we sipped on the tea that oddly looked like urine. Thankfully, there was no trick to be had there, but it wasn’t Janice’s cup of tea. I found it to be quite interesting with its earthy and highly herbal personality, but a bit more intense than the green or black teas I’m used to. 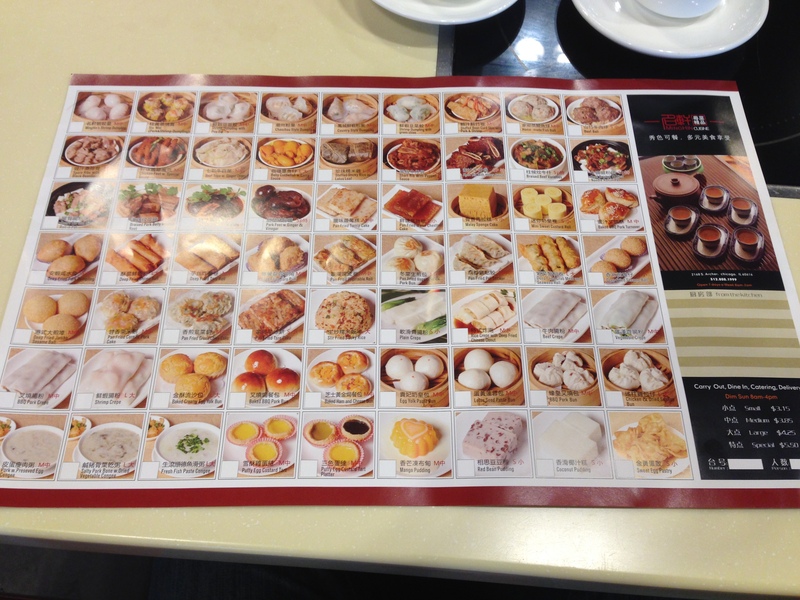 While the tea was warming our bellies, we looked over the two different menus on the table. 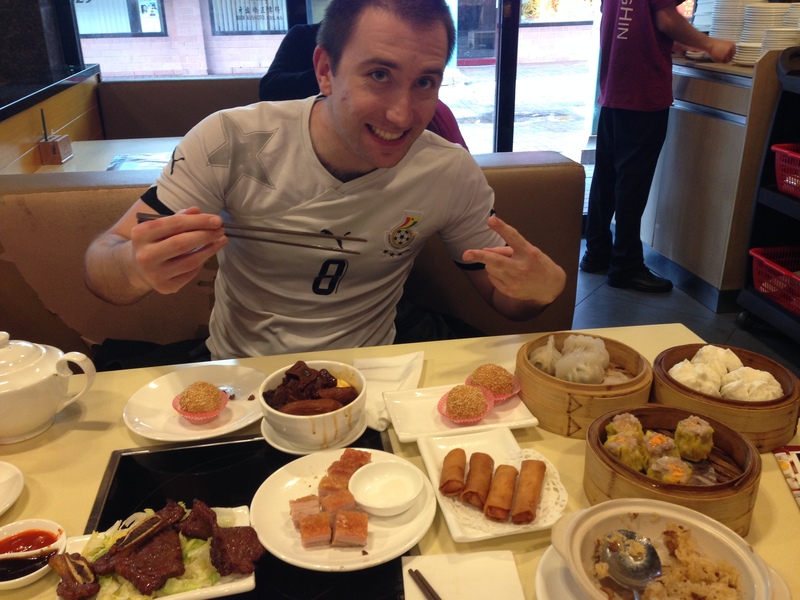 One consisted of the dim sum options we could pick from while the other menu was more focused on barbecue. After much intense deliberation and taking into account Janice’s recommendations from her previous visits, we made our choices. 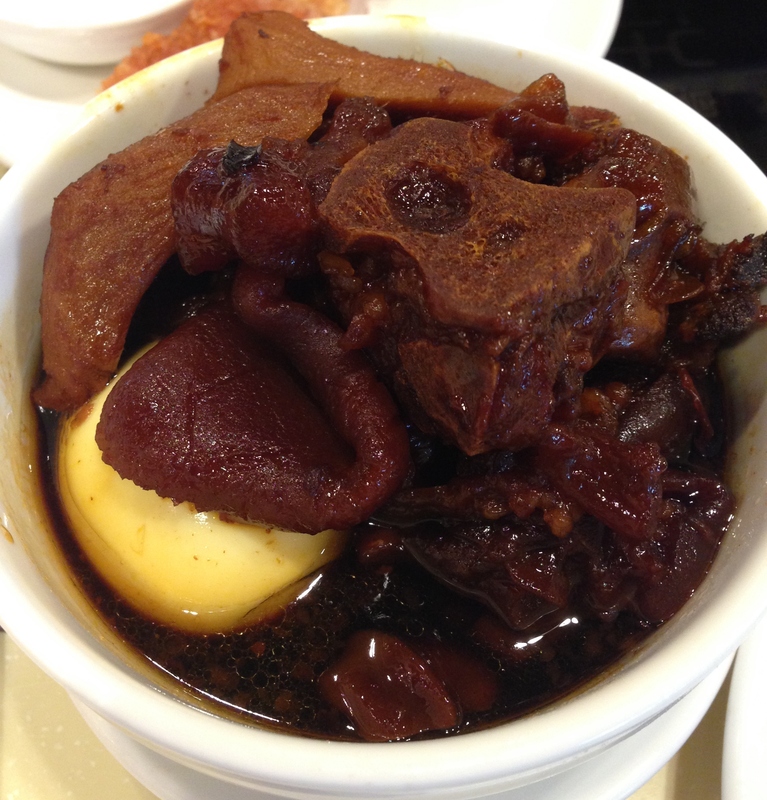 The first dishes that came out were from the barbecue menu. 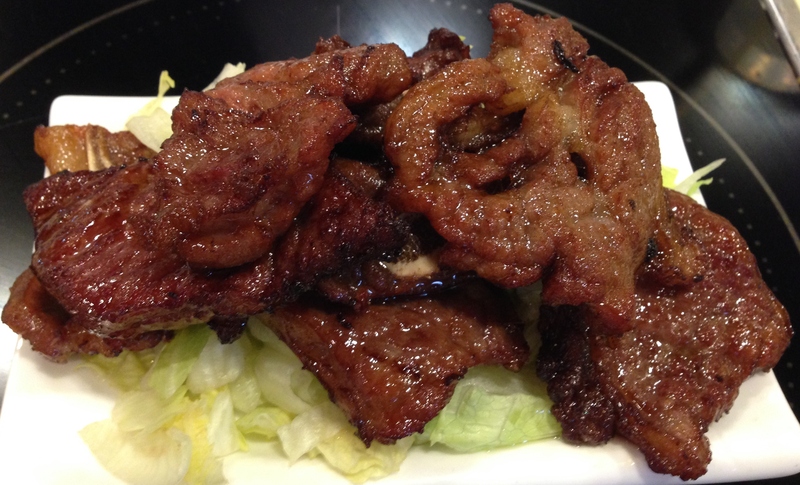 We tried the barbecued spare ribs and the crispy Macau style pork belly ($5.95 each). Both were fantastic. The honey spare ribs were lip-smacking good minus the bones, but the taste was similar to Korean kalbi ribs with a soy marinade that was both sweet with a little salt mixed in. 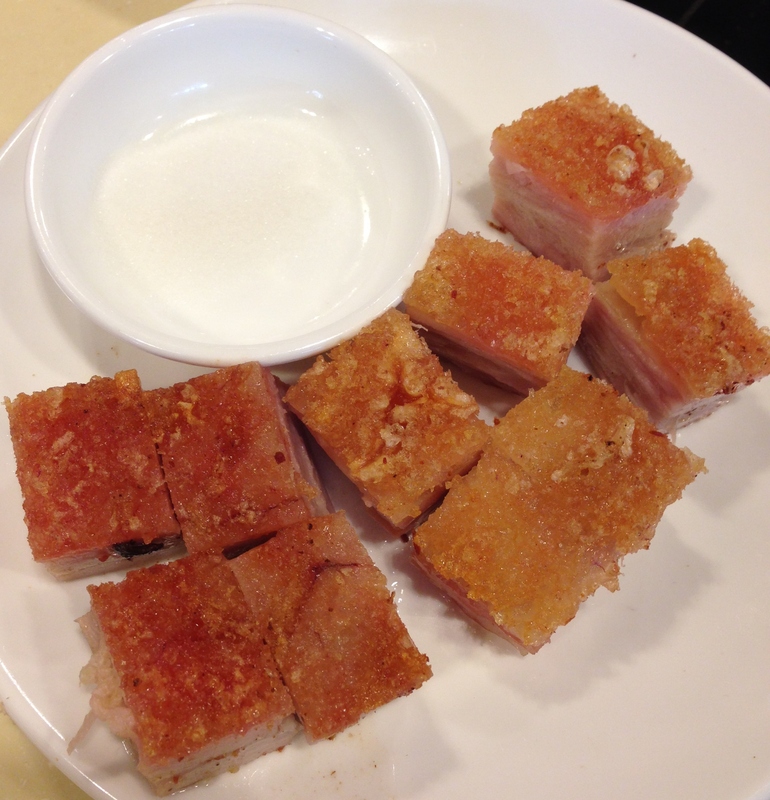 Then there was the pork belly. Talk about a contrast of flavors and textures. The top of the meat had a thin yet crunchy skin of sugar and perhaps a bit of cinnamon that was the perfect compliment to the multi-layered and uber-tender and juicy pork. These nuggets came with a side bowl of sugar to dip them in, but I found it to be a bit excessive. We also had a side of fried sticky rice, but I was not impressed at all by this bland and flavorless pick. We moved on from the meaty opening salvo to more traditional dim sum options like the barbecue pork buns, fried sesame balls, siu mai, shrimp egg rolls, and chao zhou dumplings. 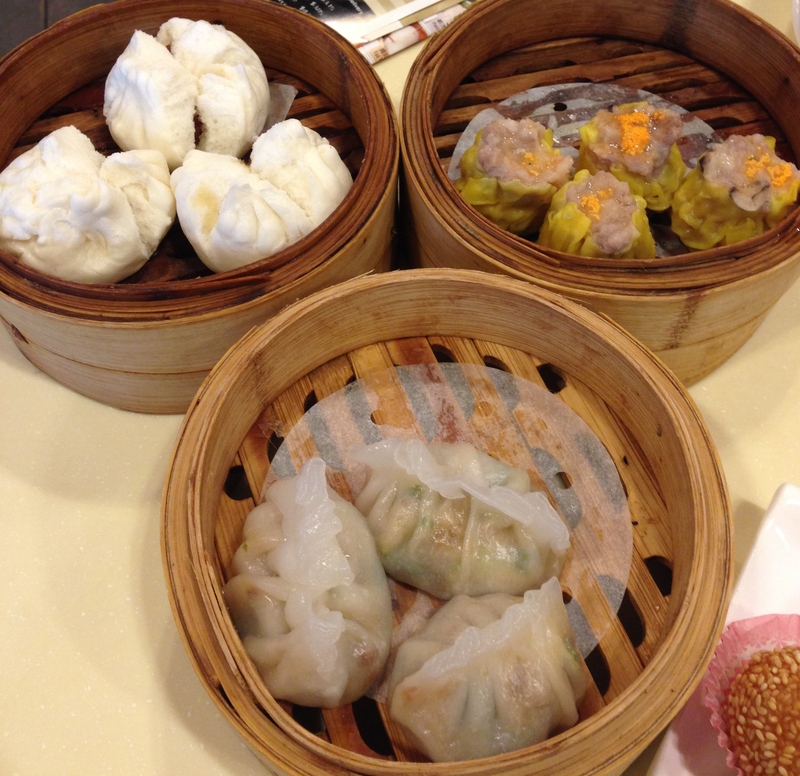 All of the dim sum plates are priced based on size with small ($3.15), medium ($3.85), large ($4.25), and special ($5.50). I won’t go into tons of detail with most these plates since I’ve tried these a million times over. I did love my bbq pork buns because they were fluffy and filled with that sweet sweet char siu style pork. 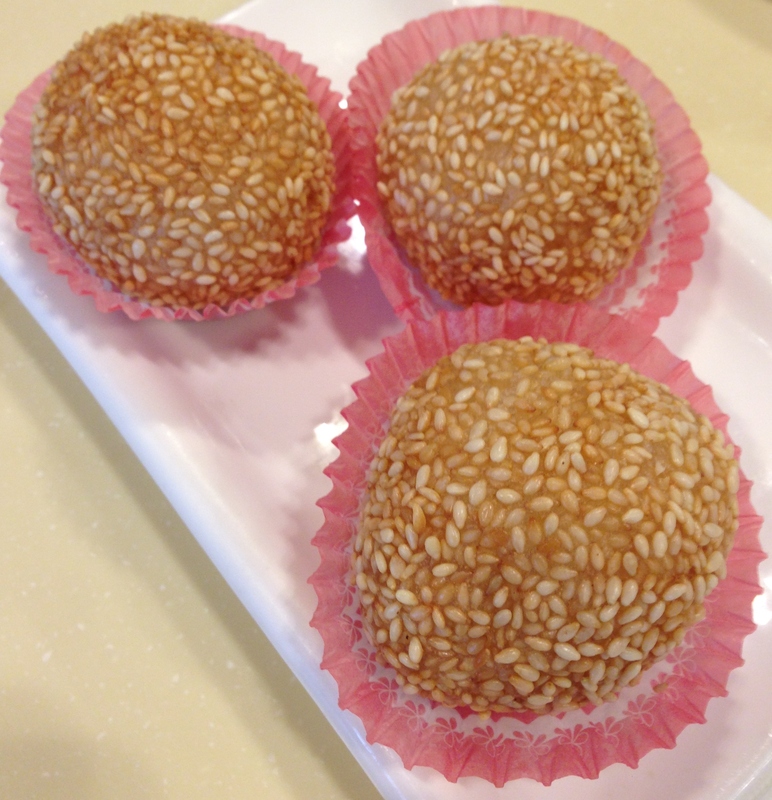 As for the sesame balls, the ones at MingHin are my new favorite ones because they aren’t filled with my old enemy of the Far East: red bean paste. Instead, they are filled with a more neutral and less obnoxious white bean paste. What I found out at a later visit is that if you get the giant fried sesame ball, they just give you fried slices of the chewy rice paste that is coated with plenty of savory sesame seeds and no beans to be found. Another stand out in this meal were the chao zhou dumplings I ordered. They were filled with pork, but two huge surprises were the crunchy peanuts and the slightly spicy kick with each dumpling. 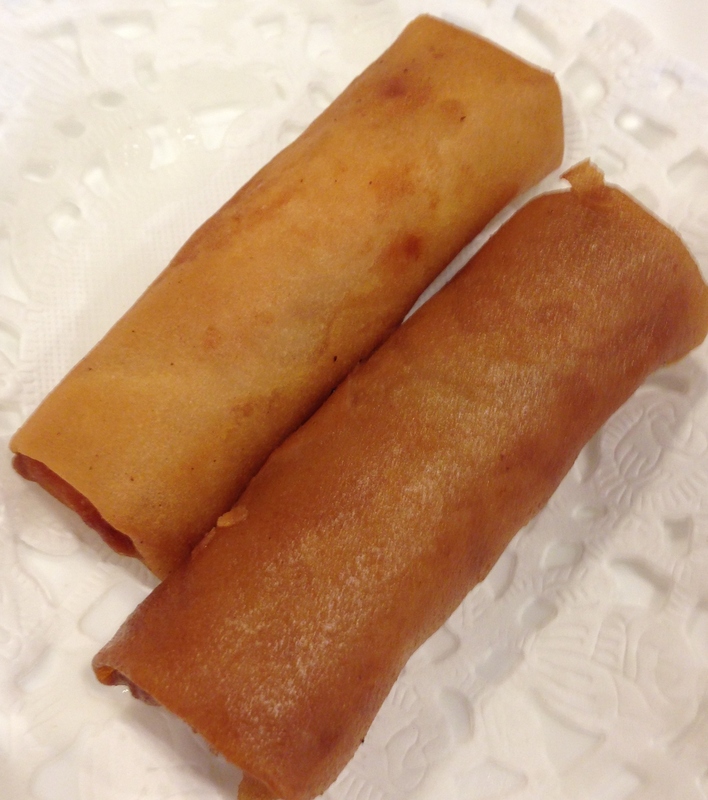 Another great pick were the shrimp egg rolls. They were slightly addicting with their crunchy, golden-brown exteriors that were light and not greasy at all with plenty of shrimp inside. While all of these choices were quite standard, I knew I had to try something new, something slightly frightening to those who are happy to stick with the tried and true favorites. Enter the pork knuckle and lotus root. When it was placed in front of me, it looked intimidating, but I’m not one to back down from a culinary challenge. I picked up a piece of the burgundy flesh, and it was oddly soft. 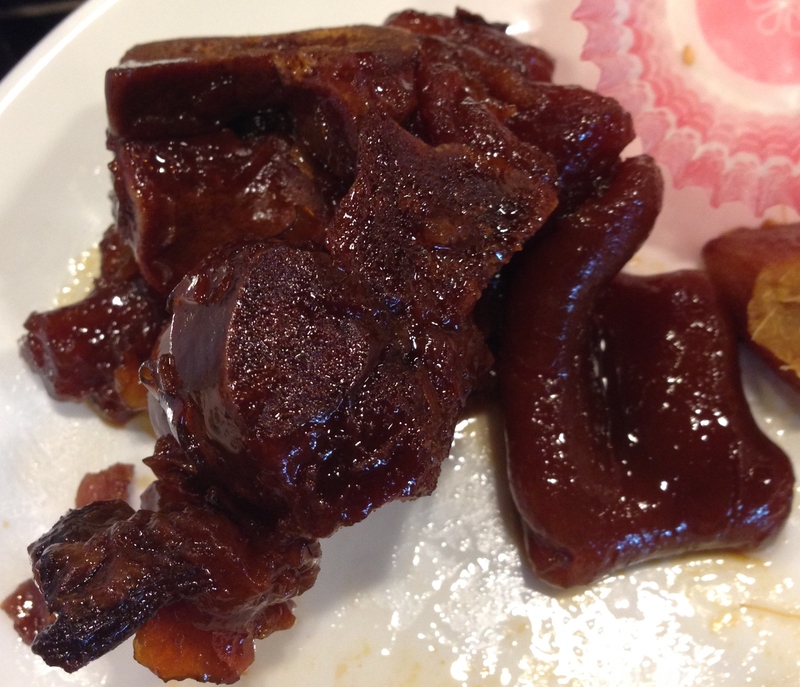 It was like eating ginger-flavored jelly. It was slightly unsettling but not terrible once I got used to it. 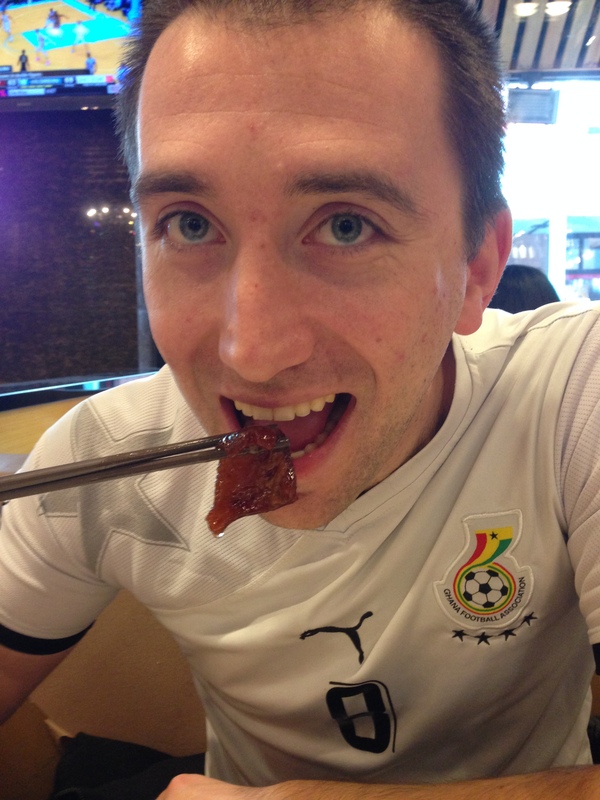 I also tried one of the lotus roots as well, but it left me with a sour taste in my mouth. I’m glad I tried it, but I won’t get it again. I’ll just stick to chicken feet. By the end of the meal, we were quite happy with the food we got and for the reasonable price. 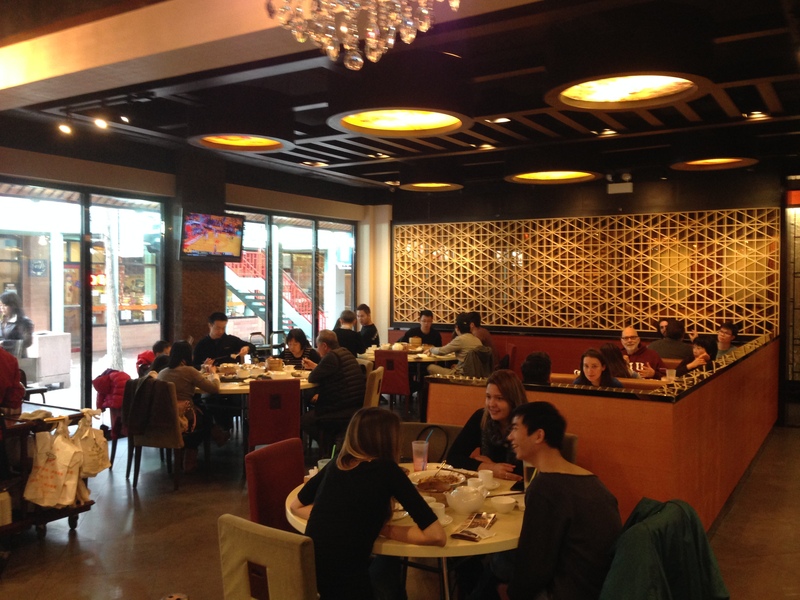 So, if you’re looking for a new and high quality dim sum eatery, check out MingHin Cuisine! It’s a small slice of culinary amid the jungle of restaurants, and it’s fun for the whole family! 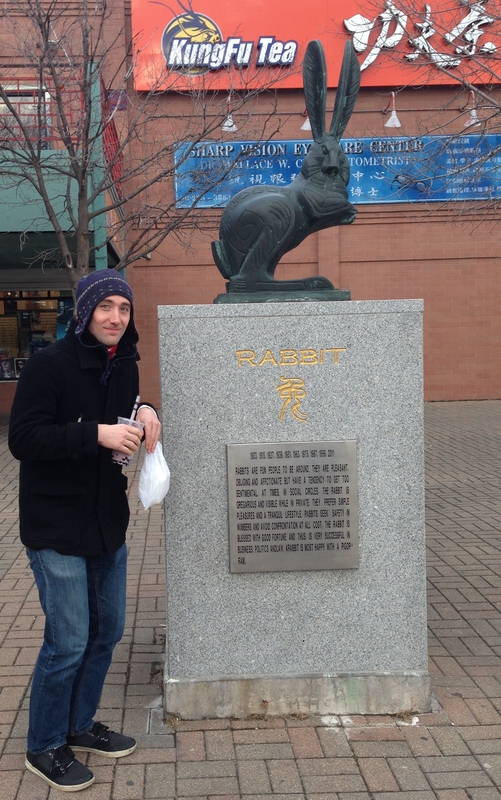 Afterward, you can check out everything Chinatown has to offer including their square of zodiac signs among many other sights. 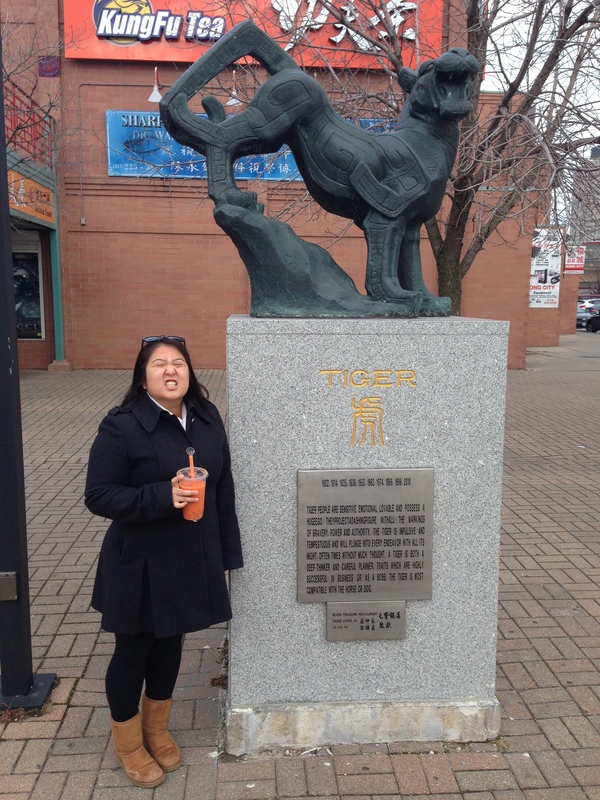 And wild tigers love it too!